On Thursday, March 24, Sustainable Flatbush will host the second in our series of informational events to promote the Weatherization Assistance Program (WAP). This federally-funded program provides home improvements that reduce energy bills by an average of 32%, while at the same time improving health, safety and comfort, all at NO COST to income-eligible homeowners and tenants. Although the Weatherization Assistance Program has existed for over 30 years, it is not well-known or understood. The purpose of these events is to connect Flatbush residents with the program’s benefits. • Replacing or repairing heating systems, including boilers and hot-water heaters. • Applying superior weather-stripping and caulking. • Installing high-efficiency cellulose insulation in walls and attics. • Replacing inefficient appliances with Energy Star® models. • Installing health and safety hardware, especially smoke and carbon monoxide detectors. • Installing low-flow shower heads, aerators, and energy-saving light bulbs. Income-qualified homeowners receive these benefits at NO COST. Weatherization not only lowers energy bills, it also benefits all Brooklynites by reducing pollution, upgrading housing stock, and decreasing New York City’s carbon footprint. Co-sponsored by Neighborhood Housing Services of East Flatbush (NHSEF), the event is being held at Lenox Road Baptist Church, 1356 Nostrand Avenue at Lenox Road, from 6 – 8 p.m. Representatives from Community Environmental Center (CEC) will be on hand to discuss details of WAP, assist participants to determine whether they qualify, and help them enroll in the program by beginning the application process. Neighborhood Housing Services of East Flatbush is a community-based not-for-profit housing organization founded in 1982. Through financial education and affordable lending, NHSEF enables individuals and families to invest in, preserve, and improve their Neighborhoods, their Homes and their Future. Community Environmental Center, a Long Island City-based non-profit, was founded in 1994 to address the housing and energy efficiency needs of low- and middle-income communities. Through our partnership with CEC, Sustainable Flatbush is able to provide the resources to inform Brooklyn residents about subsidized opportunities to make their homes more energy efficient. Although the focus of our event series is WAP for 1-4 family owner-occupied homes, information will also be available on other energy efficiency programs and subsidies, provided by the Pratt Center for Community Development. NHSEF will provide information on financing for energy efficiency improvements, in addition to other home improvement programs. 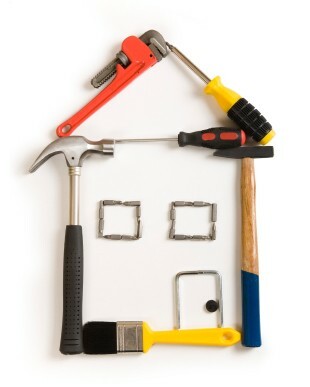 A home inspector/contractor will discuss do-it-your-self repairs to make your home more energy efficient. Sustainable Flatbush, established in 2007, is a grassroots community-based organization that brings neighbors together to mobilize, educate, and advocate for sustainable living in our Brooklyn neighborhood and beyond. SF’s Energy Solutions Initiative provides information and resources to bring the benefits of energy efficiency to our community in central Brooklyn. Fall Foliage Walking Tour October 24th! Spring Celebration with Flatbush Farm Share CSA! Flatbush Food Co-op presents Thursday Night Movies!